Vauxhall has dropped the Grand Slam name for its top-of-the-range 150PS Adam model, instead adopting the Adam S title used in the rest of Europe. 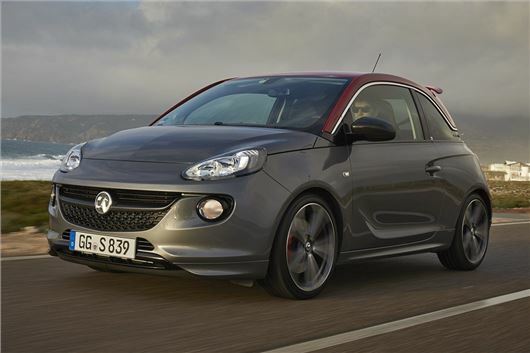 Pricing is unchanged - the Adam S costs £16,995. The changes are in place already on the Vauxhall website and won’t make any difference to existing owners, since the Adam Grand Slam already carried the same S badges as European cars. The Adam S is powered by a 1.4-litre turbocharged petrol engine and wears performance styling, along with 18-inch alloy wheels, sportier suspension and VXR brakes. 0-62mph takes 8.5 seconds and top speed is 124mph. Emissions are 139g/km and the official economy figure is 47.8mpg.